Security deposit laws have become increasingly popular across the country, due to landlords’ abuse on the manner. 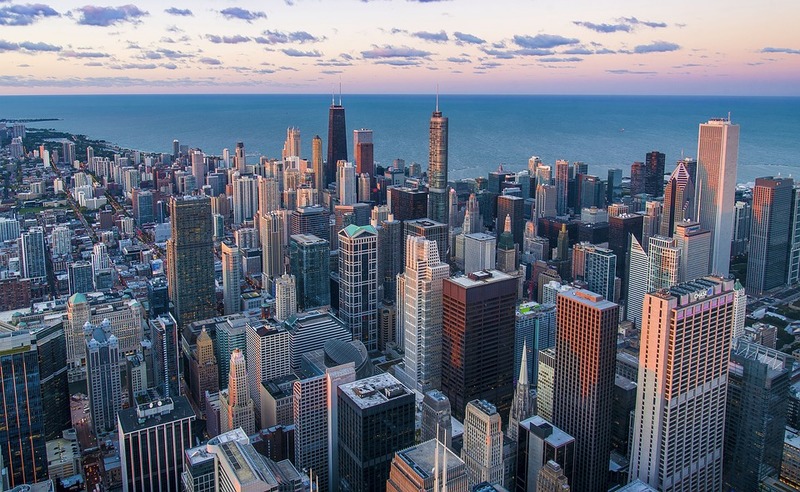 Illinois the Security Deposit Return Act, and Chicago has the Residential Landlord and Tenant Ordinance, or RLTO, which is one of the most powerful statutes regarding tenant rights in the country. In this article, we will explain the Chicago security deposit laws as it’s stated in the RLTO. The tenant may receive reasonable attorney fees and court costs. Often, landlords will combine the security deposits they receive with their own funds. This can become problematic in the instance of financial trouble, in which a result could be the landlord’s creditors taking the tenant’s money from the security deposit to satisfy a judgment against the landlord. In the Chicago security deposit law, it specifically states that the tenant’s security deposit must be kept in an FDIC insured bank account located in Illinois and must not be mixed with the assets of the landlord. Because of this, the security deposits are then not subject to the claims of the landlord’s creditors. The money from security deposit is owned by the tenant, even though it’s held by the landlord for the duration of the tenant’s stay. Therefore, the tenant has the right to claim the earnings generated by those funds. According to the Chicago security deposit law, the landlord must include the name and address of the financial institution that’s holding the security deposit on the written and signed rental agreement. In the instance of no written rental agreement, the landlord must provide a written notification including the name and address of the institution holding the deposit within 14 days of the receipt of the deposit. The signature of the person who received the deposit. Landlords are required by law to pay interest on security deposits at a statutory rate. Although interest rates on security deposits are very low, it’s a serious violation if the landlord fails to pay interest. The interest on the security deposit must be paid within 30 days after the end of the 12-month rental period. The payment must be paid in cash or credit applied to rent due. Landlords cannot keep the interest until the tenant moves out; it must be paid within that 30-day window. Once a tenant moves out, the landlord must return the security deposit within 45 days. The landlord is only able to deduct unpaid rent and damage beyond ordinary wear and tear from the deposit. The law also states that, in the instance the lease was terminated because of fire or other casualty loss, the landlord has only 7 days to return the security deposit to the tenant. The landlord must prove the actual cost of repairs to the unit, according to the Chicago security deposit law. The law states the landlord must provide the tenant with an itemized statement of damages and either the estimated or actual cost of repairs within 30 days of vacating the unit if the landlord is going to deduct anything from the security deposit. If the landlord does not provide this statement within 30 days, he or she is prohibited from deducting damages from the deposit. If the actual cost is given, the actual paid receipts must be attached to the statement. If only an estimate is provided, the landlord has 30 days from the initial estimate to give the tenant with copies of the paid receipts for the repairs or replacements. If the landlord violates the terms of the Chicago security deposit law, the landlord is liable for two times the security deposit as a penalty. The two-times deposit penalty is in addition to deposit itself, if the tenant is entitled to be returned of the deposit. Also, the law states that if the landlord does not provide a proper deposit receipt, he or she must immediately return the deposit to the tenant, even in the instance where the landlord had the right to keep or deduct from the deposit. If the tenant is successful in pursuing the landlord for violations per the Chicago security deposit law, the landlord is then legally responsible for the tenant’s reasonable attorney fees and court costs. The purpose is that, in most cases, the tenant isn’t in the same financial health as the landlord, and this ensures that the tenant’s rights are protected and preserved.